Wanna run the Shadows, chummer? You’re going to need nuyen–but not much though. Not when there are deals like these to be had. Come check it out. Thats right friends, right now you’ll find two different Humble Bundles to help you jump feet first into Shadowrun 5th Edition. And since we’re basically already living in a Cyberpunk world (though it’s much more boring than traditional Cyberpunk) you may as well spice it up with some Elves and Dragons and Magic. 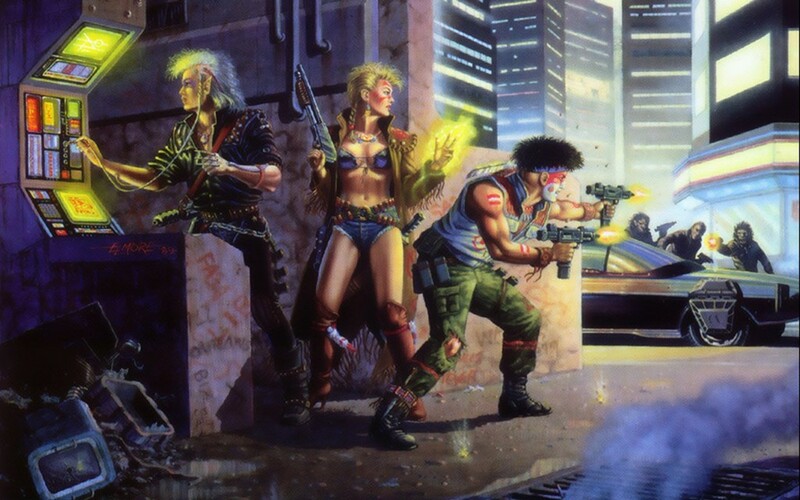 Seriously though, Shadowrun is one of the games that got me into Roleplaying, and while 5th Edition does have its problems, it’s one of the better iterations of the game. The rules are accessible, and it provides you with a great framework to build your character on. It can be a little tricky at times–there are a surprising number of interlocking systems that are hard to ignore, and if you want to build a heavily Cybered up character (to the point you have cybernetic limbs and the like) you’ll find it can be a bit limiting–there’s a lot to try and squeeze into only so many points of Essence. But. It’s still one of the most enjoyable Cyberpunk games out there. And since Cyberpunk 2077 is still not out yet, and there are two amazing deals that give you not only the core books, but a sizable chunk of supplements that show off some of the crazy Shadowrun flavor at its best, this is the perfect time to jump in the game. If you haven’t played in a while, definitely recommend checking this one (well these two) out. Scan this, chummer: This all-new Shadowrun 5E Essentials Bundle is the first of two offers now in progress featuring .PDF ebooks for the 2013 Fifth Edition of Shadowrun, the cyberpunk-fantasy tabletop roleplaying game from Catalyst Game Labs. 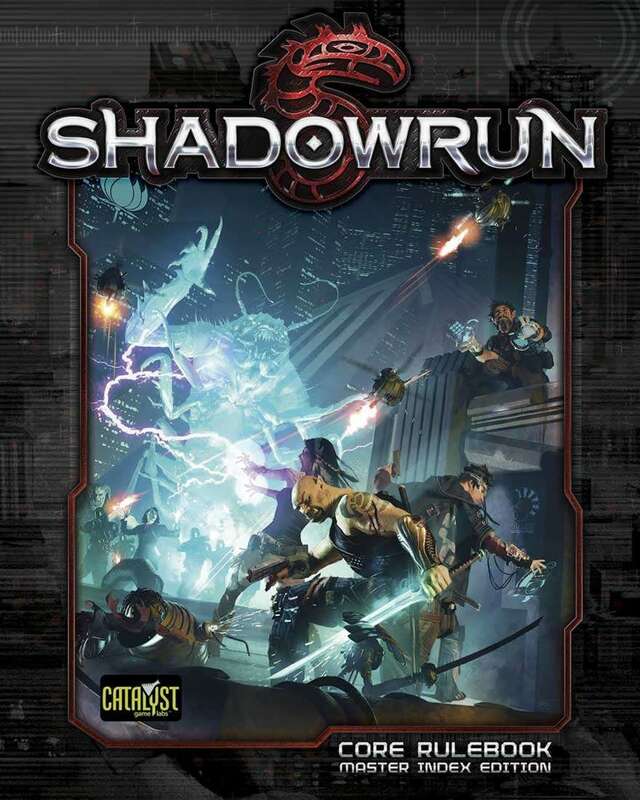 This offer includes the complete Shadowrun 5E rulebook and all its key rules supplements in .PDF — everything you need for a campaign of megacorporate espionage and magical battle in the shadows of 2081. If you’re new to Shadowrun, start here. Then check our companion SR5 Runs & Guns collection that gets your runners into new and deeper trouble with more supplements and sourcebooks. For just US$22.95 you get all three Fifth Edition titles in this Essentials offer’s Core Collection (retail value $70) as DRM-free .PDF ebooks, including the complete Shadowrun 5E core rulebook (Master Index Edition), plus the free 5E Quick-Start Rules and Character Conversion Guide; the player’s book, Run Faster; and the augmentation catalog Chrome Flesh. And if you pay more than this offer’s threshold price of $34.64, you’ll also get this offer’s entire Bonus Collection with three more key 5E supplements worth an additional $75 — the rules expansions for magic (Street Grimoire), the Matrix (Data Trails), and riggers (Rigger 5.0). Hoy, chummer! 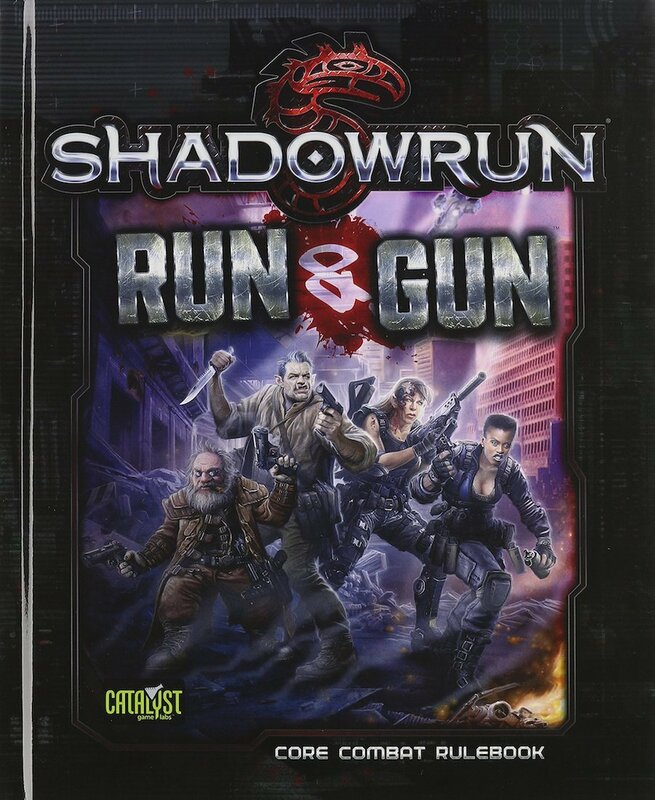 This SR5 Runs & Guns Bundle is the second of two offers now in progress featuring .PDF ebooks for Shadowrun 5E, the 2013 Fifth Edition of the classic cyberpunk-fantasy tabletop roleplaying game from Catalyst Game Labs. Our first offer, SR5 Essentials, presents the core rulebook and key rules supplements; if you’re new to Shadowrun, start there. Then return here to build out your SR5 campaign with this companion collection of supplements about combat, magic, and more on the mean streets of 2081. For just US$14.95 you get all four titles in this offer’s Starter Collection (retail value $63) as DRM-free .PDF ebooks, including Run & Gun (advanced combat rules), Forbidden Arcana (advanced magic), Bullets & Bandages (medicine), and Aetherology (the astral realms). And if you pay more than this offer’s threshold price of $26.06, you’ll also get this offer’s entire Bonus Collection with four more titles worth an additional $60, including Howling Shadows (the SR5 critter bestiary), Dark Terrors (horrors of 2081), Shadow Spells (more magic), and Gun H(e)aven 3 (more weapons). Editor’s Note: The article was initially labeled as a Humble Bundle – this has been corrected. Apologies for any confusion.